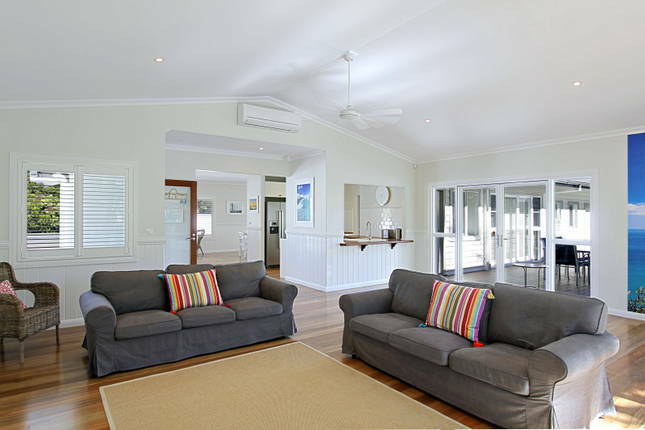 6 Bedroom, 6 Bathroom, spacious Byron Bay Holiday House. Away on Belongil Fields can accommodate up to 12 adults and every bedroom has an ensuite, private deck with a table and chairs, flat screen television with DVD player, air conditioning, hard wood floors and ceiling fans. 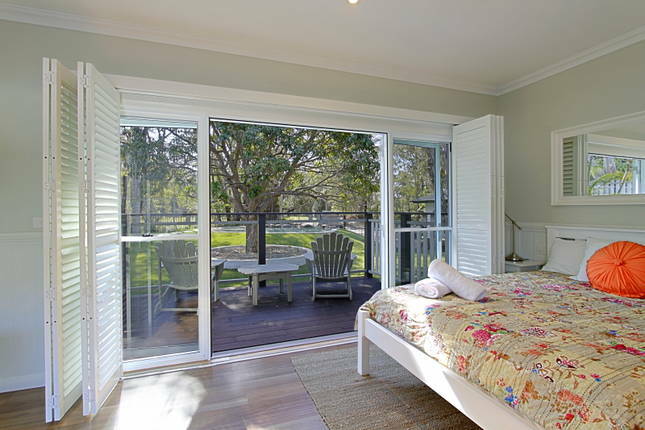 Enjoy your holiday with privacy as well as beautiful communal areas decorated with Byron Bay art work and locally made furniture. The ‘Folk’ cafe is just around the corner, serving up beautiful coffee and delicious, healthy food. 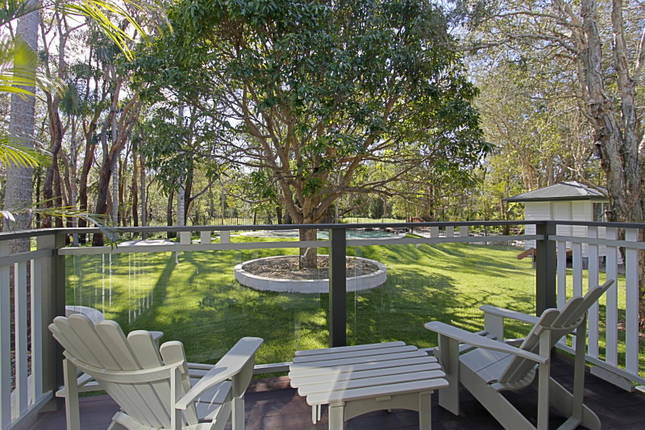 Away on Belongil Fields offers beautiful landscapes gardens and spacious outdoor areas. 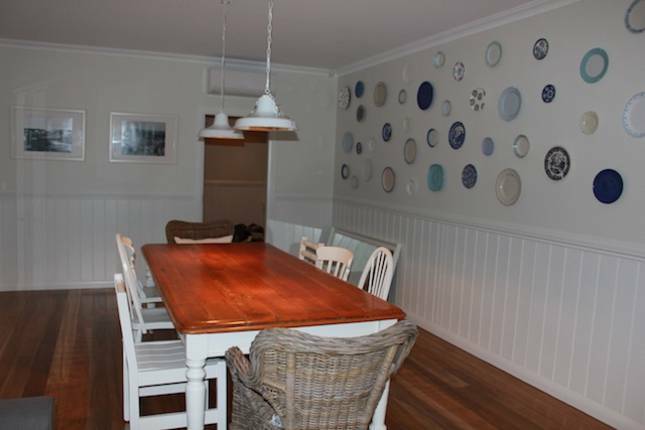 The property has a second sitting area, dining room, and fully equipped kitchen for those who love to cook and entertain. The open plan living areas consist of a spacious lounge, seating up to 12 people plus a day bed, which has large glass doors that open on to the deck facing beautiful tropical gardens and the lagoon style pool. 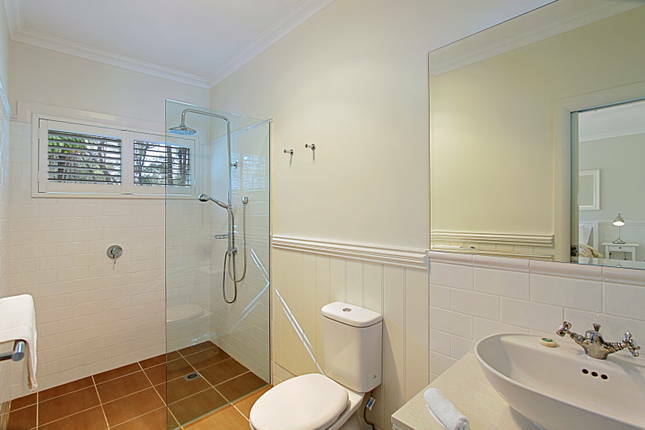 The property is child friendly and safe with self locking fences located around the garden and pool area. 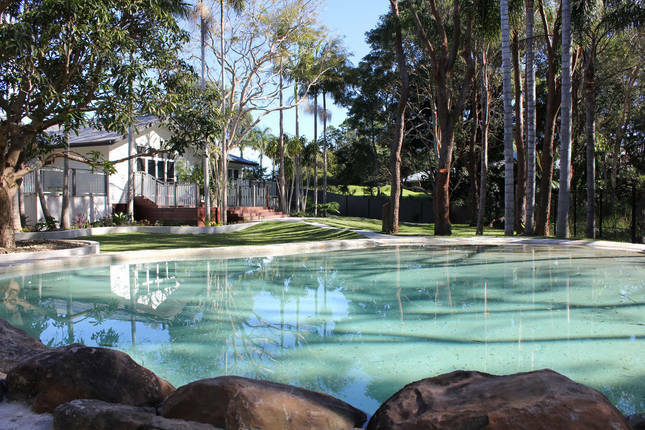 The swimming pool has a depth of 1.2 metres with a consistent drop off so it is safe for children and adults alike. 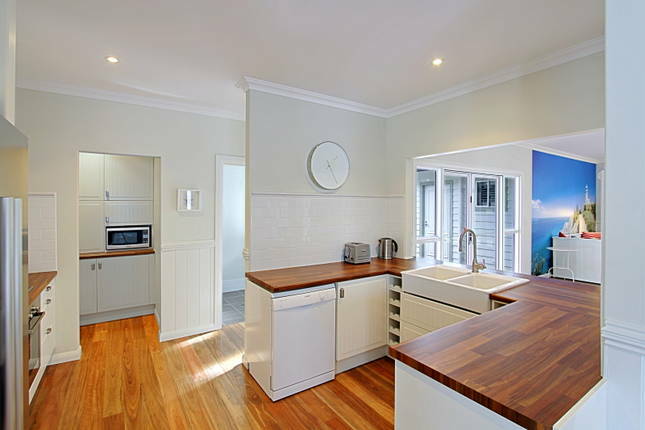 The property is an easy walk to the centre of Byron Bay or a short drive or bicycle ride. Away on Belongil Fields is ideal for weddings and other functions.